I think it’s obvious that to have industry success, a lot of things need to ‘go right’. A strong and innovative product, a good leader, funding, marketing, but to name a few. It’s possible to have only a few of these, of course, but with more innovators than ever, competition (and therefore commercial success) can be tough. Isle are champions of innovation. 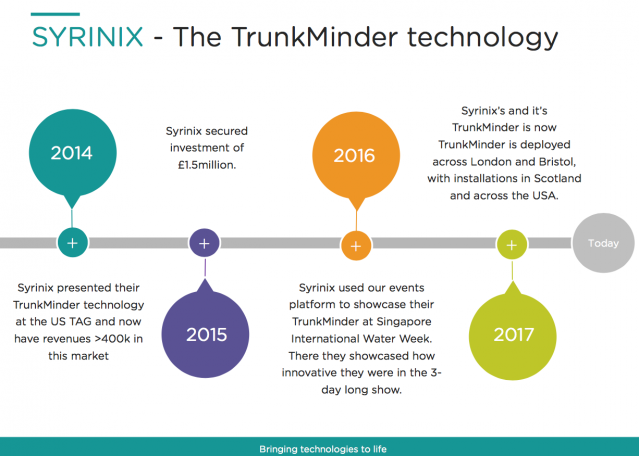 We’re always seeking novel products, we try to align companies with funding and we have a dedicated team to help technologies gain market exposure through events. 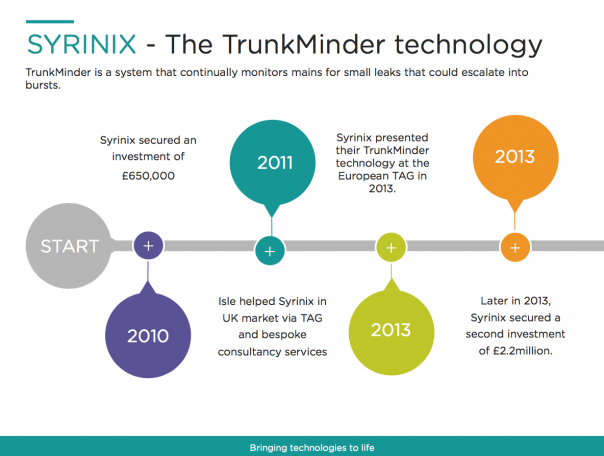 The Syrinix Trunkminder story is a great example of how a company, and Isle as cheerleaders, have cracked the market. They have used some of Isle’s knowledge to gain maximum exposure in both TAG and global showcase events. If your company would like to get involved in some of the events that Isle has to offer, we’d love to hear from you.